I'm sorry to say, but the narration was extremely poor. I don't think the story was very interesting either, but that's hard to separate from the quality of the narration. The narration was amazingly bad. There were so many times when he was reading straight through the punctuation, commas and periods and even exclamation points, and with a monotone no less. Sometimes I even paused the audio to puzzle out what in the world he had just said. 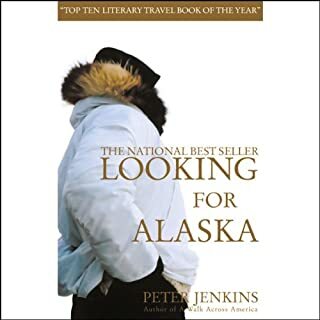 I stuck with it because I was on a cruise to Alaska and really wanted to 'read' a book on the subject during the experience, and I didn't have any wifi/internet to get a different book and no other backup book. So I stuck with it. I fell asleep during the last hour and didn't bother to rewind and listen to it again. I purchased this originally thinking that perhaps my preteen children might be able to this into this for homeschooling music studies. This was above their level, but in a good way. The presenter speaks relatively quickly and makes references that a youngster would not understand. 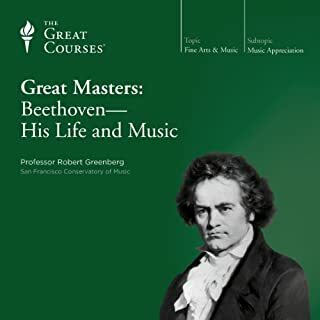 But the humor is engaging, I enjoyed listening to this, and I learned more about Beethoven than I knew before. Recommended! Where in the world are all those good reviews coming from??? They could not POSSIBLY be from THIS book, unless there's something fishy going on with the ratings. I tried to listen to this with my two daughters, ages 8 and 11, and gave it 1/2 hour. It was NOT good. The narrator was a problem. It began with him doing a female voice and made her sound like a child-like female Gollum. There was no transition between the different scenes. It would be a couple minutes into the next scene before I realized it had changed locale and character. Literally, NO transition. Not even a pause. My 8 year old says she couldn't understand any thing. His voice would go from soft when speaking in character to really loud when reading the text. So we had the volume up really loud. Uncomfortable to listen to. He seemed to drone. The actual story and writing were also a problem. I could not understand the setting; it just made no sense to me. There was no lead in, just slam into full detail, character names, contextual references, etc. of this alternative world trying to figure out where the heck this story was starting from. The dialog was imbecilic. 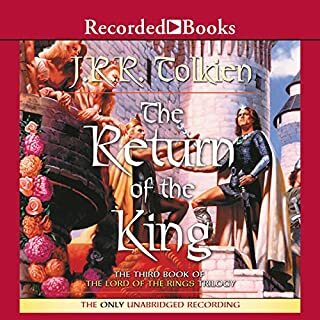 We've been listening to about 3 books a month for over a year, with only perhaps three of those books being ones that we decided not to listen through. Sorry I wasted my money on this one. I purchased and downloaded this so long ago that I didn't remember anything about it, I just hit 'play' and began listening. I was enjoying it, although I thought the plot line and character development were not particularly sophisticated and the echoes of traditional fantasy literature genre were strong. Then my 9yo daughter overheard part of it and insisted on listening to the rest of the story together with me. She loved it, as did the 7yo who joined in as well. It wasn't until after we'd listened to the climactic scene - with me trepidatious lest it be too intense for the girls - that I finally realized that the book was actually written for a youth audience. Then I further discover that it's a large series and has been quite popular for several years. Duh. Anyway, I've already purchased the second and third book in the series and we're off to listen to them now. I would recommend them to any youth 8-78 interested in a lightweight (at least the first book is not too intense, I can't speak for subsequent stories) fantasy/hero/action/touching story. 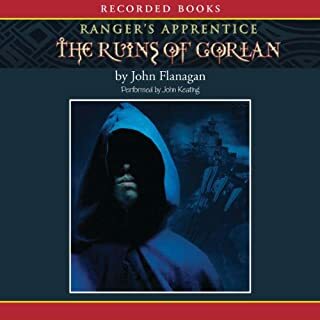 I also liked John Keating as the narrator. I saw that there are editions with a different narrator, and listened to a sample of the other one, but decided to stick with this narrator. From my daughter: "I'm 10 and I liked the story. I wouldn't recommend it for anyone under 7 years old. I liked the narrator and that he used different voices for the different characters. But I did have a hard time learning the separate characters and keeping them straight. I really enjoyed the story. I've listened to the whole trilogy. I won't go anywhere without my headphones and player. I'm planning on listening to the trilogy again and then reading the books. It's by far my favorite book(s). " 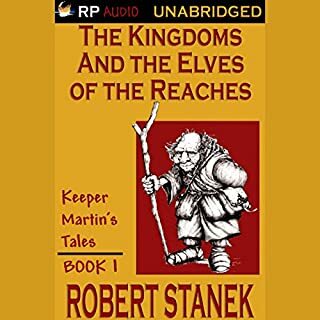 I enjoyed listening to this story - I found it really engaging and I was always wanting to come back and listen more whenever I had a couple minutes. I did, however, find it to be more in the romance genre than I was prepared for. I'm not really a romance reader and toward the end of the book I thought the romance aspect and all the sexual encounters were getting a bit tedious. 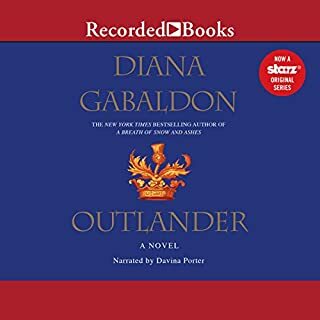 I had even purchased the second book in the series planning to listen to more, but by the end of the book decided I'm just going to leave it lie. That being said, I did really enjoy the story and would recommend it.